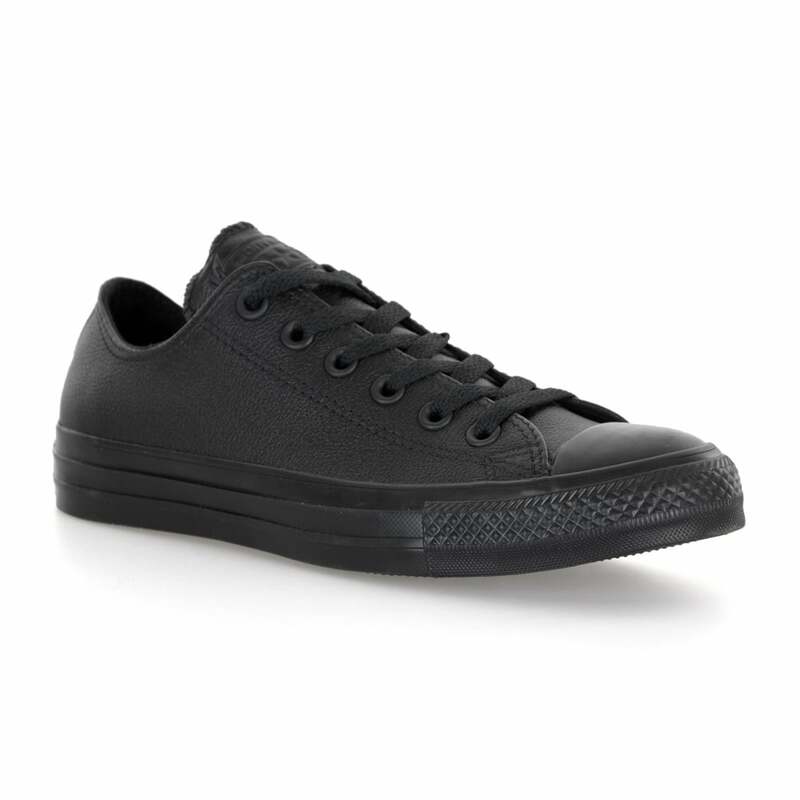 These lace-up Converse Mono Leather OX Trainers are made of leather and black in colour. They have a textile lining with a cushioned footbed and a rubber toecap. Converse branding appears on the sides and heel. They have a classic rubber toeshell and a classic waffle tread.